Hello readers and welcome to “Complete Reviews of Incomplete Games.” Here I will spotlight some PC games that have not been officially released and are available as early-access betas through Steam or other distribution sources. "Broforce" is being developed by independent studio Free Lives. The game is what you would get if you took the gameplay of the "Contra" and "Metal Slug" series and inserted every ‘80’s and on action movie hero you could imagine. The roster includes close to 20 characters with more are being added with each update. Brobo Cop, Rambro and Indiana Brones (sensing a theme?) are just a few of the ridiculous characters at your disposal, and the developers have managed to make each feel unique enough to prevent the gameplay from feeling stale. 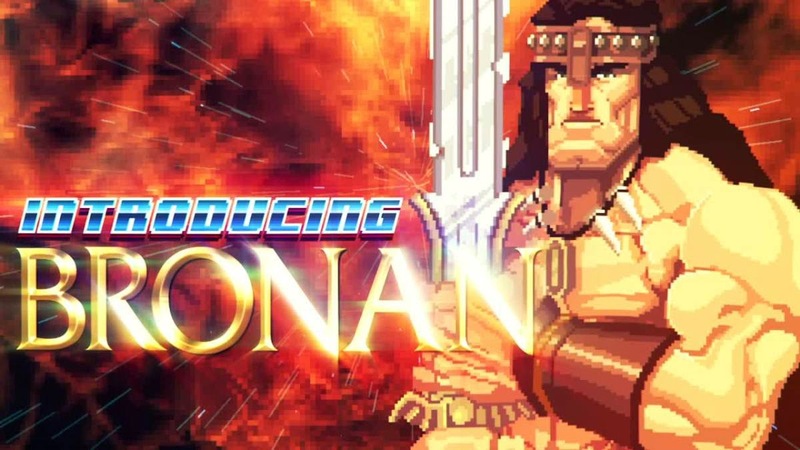 My personal favorite is Bronan the Barbarian, who will occasionally let loose a classic Schwarzenegger battlecry as he slays his enemies. One of the best parts about the game is unlocking each character and testing his abilities on an unsuspecting enemy. "Broforce" is not a thinking man’s game and, if you primarily enjoy puzzlers, it is probably not for you. There is, however, a strategic element involved when a randomly-selected hero has an unorthodox weapon or power. A melee-based hero like Brade (from the “Blade” movie series) feels a lot different than Bromando and his missiles. Another interesting element about "Broforce" is the multitude of game modes offered. For a game still in development, it is surprising to see so many options to play, even though most of them are co-op based. Co-op is the game's biggest strength by far. Teaming up with a friend through the campaign or challenging them to a deathmatch can lead to plenty of memorable moments and unintentional deaths. Unfortunately, that means that singleplayer can be a little underwhelming. 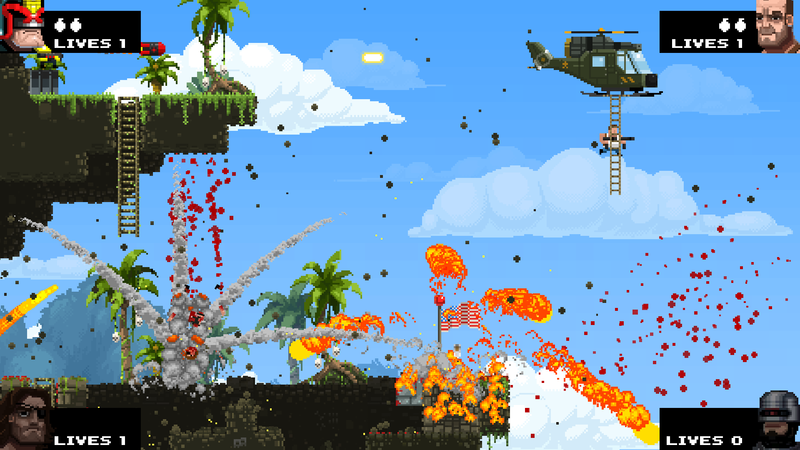 "Broforce" offers a buffet of flaming multi-player destruction. "Broforce" is a fun experience, but it definitely needs a little polish. While playing I did encounter several game-breaking glitches, including one where a deathmatch refused to start because I was unable to shoot my way out of a cage at the beginning of a match. Sometimes, the explosions can fill the screen to the point where you lose track of your character and fall to your death. Despite those flaws, the fact that it is still in beta is an encouraging sign that the developers are planning to add plenty of fixes to the official release. "Broforce" is fun, but it can be frustrating at times. Despite the memorable moments it can create, unless you are obsessed with side-scrolling shooters, it isn’t ready for the average gamer’s standard of quality. I’m going to give this game three scowling John BroClanes and suggest that consumers should wait until the official release. Agents of SHIELD 122 "Beginning of the End"
Agents of SHIELD 121 "Ragtag"